hristopher Fernandes a trained martial art exponent in the field of Wu-shu (Chinese war arts or military art) specializing in “Hua-Chuan Kung-Fu”, by the late Tibetan Lama SevangMigyuarNobu. Mr. Christopher became the first Indian to be trained in Beijing, People’s Republic of China. In 1988 he founded the Universal Martial Arts Research Centre, where an extensive research, data compiling was done in Indian Martial Arts – “Vajramushti”, now published by Creative House International Press, Texas, U.S.A, and available on Amazon.com. Christopher has also conducted the first District and State Level Martial Arts Tournament, Mumbai in 1989 and 1991 respectively. In 1993 he was the official observer for the Second World Wu-Shu Meet at Kuala Lumpur in Malaysia. In 1994, he was instrumental in conducting the first Wu-Shu Judges seminar in Orissa at the behest of “Wu-Shu Association of India”. From 1995 till 2003 he conducted martial arts tournament in different streams (such as Judo, Karate, Wu-Shu, and Tae kwon do) at the grass root level for school children under the Mumbai School Sports Association, which is the oldest sporting body in the world. Christopher choreographs martial art’s sequences for commercial ads, TV serials, films, and simultaneously coaches many of the film stars from Mumbai, in Chinese Martial Arts. He has also trained many upcoming actors at ‘Stella Adler Studio of Acting’, Mumbai. 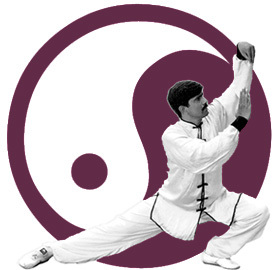 Since 1982, he has trained scores of students including security personnel, paramilitary forces, and civilians in armed & unarmed combat, and stress relieving techniques such as Tai Chi, Qi Gong and Nei Gong. Topics ranged from fitness, stress management, martial arts, and marma- adi (the art of striking vital points). His earlier five books were great successes, both nationally and internationally. He is currently involved in research work on, “The Science of Primordial Breath”, also known as ‘Qi/Chi’ in Chinese, and its relation to the vast cosmos.Currently he is dedicated to promoting physical and mental well-being of people. Christopher conducts personal growth and initiate potentials workshops from Celeste the Center.